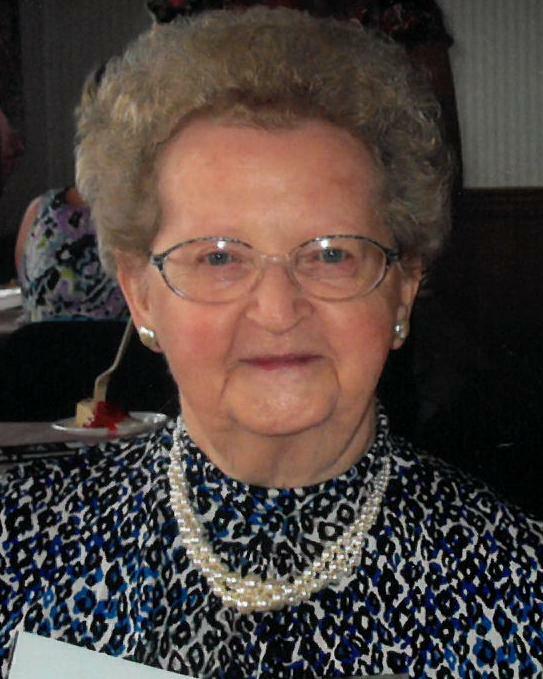 June D. McCullough of Felton, passed away peacefully in her home, on Sunday, December 23, 2018, she was 92. She was born in Prospect Park, PA to the late, Frank G. and Eula F. MacIntosh. Mrs. McCullough grew up in Pennsylvania and as a youth was an avid dancer. She worked in accounting and in a shoe store, until her marriage to William R. McCullough, then became a devoted wife and mother. In 1959, they moved to Felton, Delaware to begin their family livelihood in farming. She kept the books for the farm and later for her son's business, McCullough's Tire & Service Center in Harrington. Mrs. McCullough was a wonderful cook and loved to entertain. In her early life on the farm, her home was full of family and friends and overnight guests. In her retired years, she spent her time traveling the United States with her husband in their camper. They also enjoyed spending winters in Florida and visiting their home in Slaughter Beach. She valued time well spent with people she cared about, always making people laugh with her funny sayings and telling stories of the past. As the matriarch of the family, she was always known as, "Queen Bee". She often said, "who would have ever thought 2 people could have started all of this". She will be greatly missed. In addition to her parents, she is preceded in death by her husband, William R. McCullough; and son, Robert H. McCullough. She is survived by a son, William G. McCullough; daughter in law, Tanis M. McCullough; grandchildren and spouses, Lisa A. and Brad Barros, Stephanie L. and Scott A. Fleming, William A. McCullough, Natalie M. and Eric R. Pardee, Jodie M. and James R. Moore, Robert B. McCullough; great grandchildren, Ryan E. Barros, Taylor N. Barros, Victoria L. Barros, Erin M. Tucker and husband, Lester L. III, Bret A. Fleming, Alexandra H. Mullane and husband, Trevor R., Dean J. Fleming, Seth R. Fleming, Dylan R. McConnell, Jared R. Pardee, Ashley L. Pardee, Zachary I. Pardee, Megan R. Pardee, Trevor J. McCullough, Haley M. Moore, Isabella R. McCullough; great great grandchildren, Tristan W. Tucker, Jackson O. Tucker, Logan A. Tucker, Finnley J. Tucker, Molly M. Mullane. Services will take place at the Melvin Funeral Home. 15522 South DuPont Hwy., Harrington, DE, on Thursday, January 3, 2018, at 11 AM, with a visitation for family and friends starting at 10AM. Interment will be at the Milford Community Cemetery.